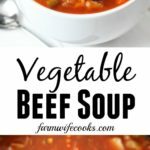 This Vegetable Beef Soup is an easy, hearty, crock pot recipe that is perfect for fall or winter! 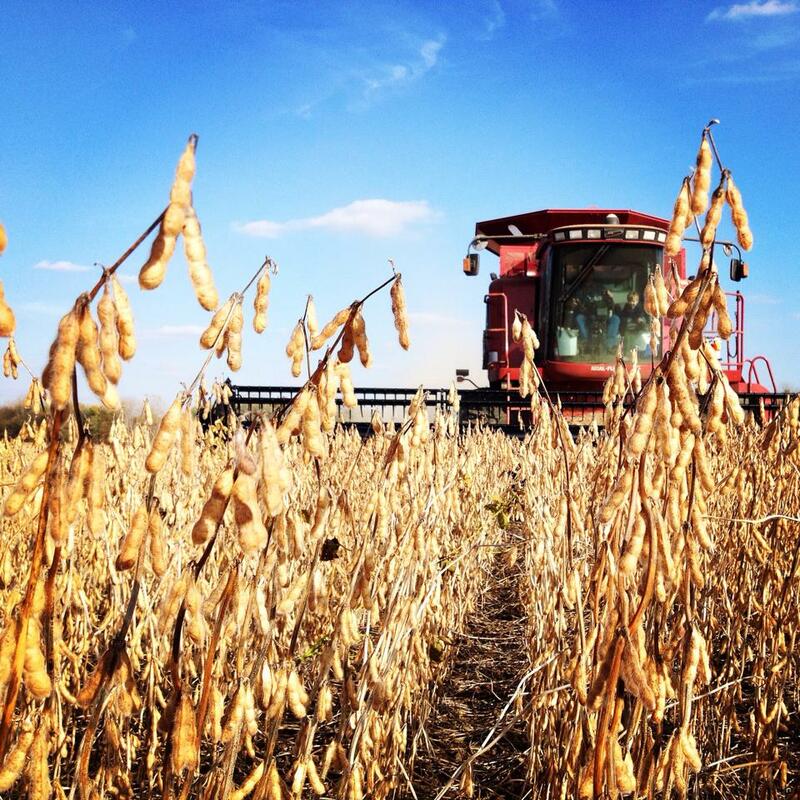 This fall my 4 year old was helping his dad in the combine with harvest. They were at a farm where one of the guys who works for us lives and he and his wife were kind enough to bring out some soup for my boys for dinner. Ever since then my son has been asking me to get the recipe from Peggy so I can make it! 4 year old begging for vegetables, score one for mom! This isn’t exactly her recipe (she cans a lot from her garden) but it is close and the guys gobbled it up! There’s some prep work with this recipe, chopping veggies, but other than that it is as simple as you can get. I love to make this recipe with the leftover roast from the day before. 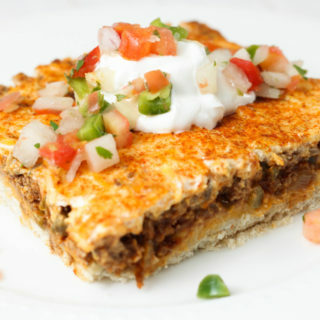 You could also use stew meat or other cuts of beef. 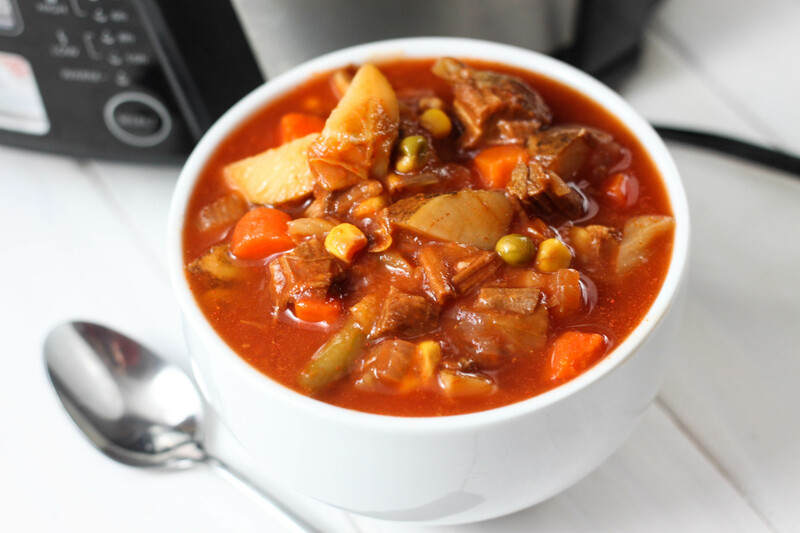 To make this recipe toss all the ingredients into a slow cooker and cook on low for 8 hours or until the potatoes (they take the longest to cook) are tender. 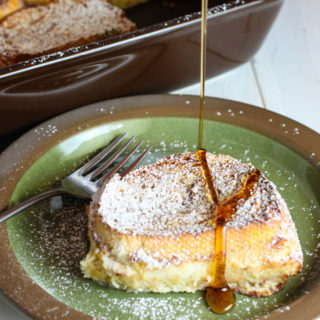 Serve with a grilled cheese (This Mousetrap Grilled Cheese is a favorite around here!) and crackers and dinner is served! 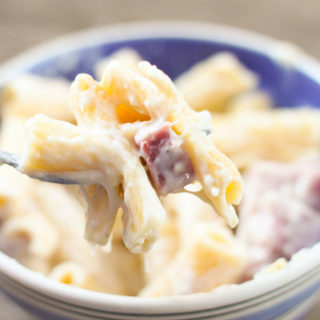 This recipe also freezes great and would be great to pull out of the freezer on a busy night. This Vegetable Beef Soup is an easy, hearty, crock pot recipe! Place all the ingredients in a crock pot and cook on low for 8 hours or until potatoes are tender. No you don’t need to cook the stew meat since you will be cooking everything for 8 hours. I hope if you try it and like it you will come back and give it more stars! Hi liz. If the soup is in the crockpot for 8 hours why precook the meat? 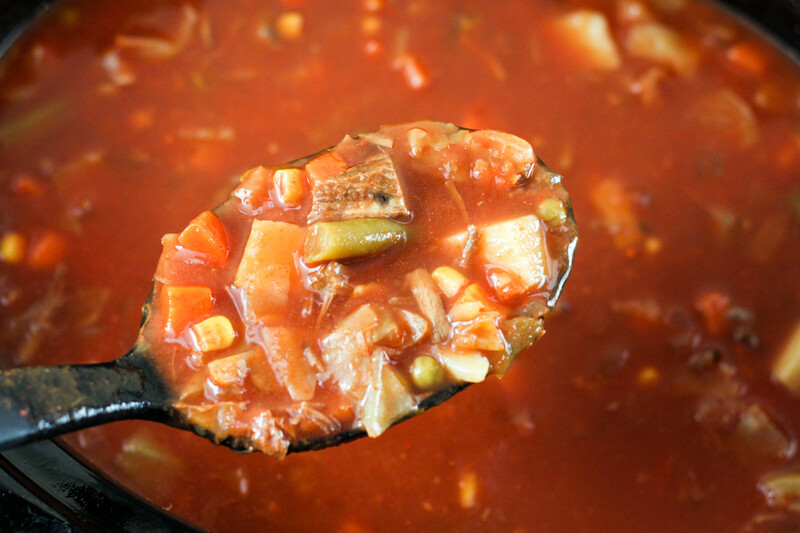 I usually use leftover roast when making this soup, hence the already cooked meet. But you are right you wouldn’t have to since it cooks so long. Enjoy! We had 5 inches of snow today and 21 degrees outside. This was perfect for the weather and delicious. Thank you so much, Liz!